SHOP UPDATE - New Planters for Spring now available online. You can shop the DARK+STORMY collection in person at various pop up events in Southern California throughout the year. Click through to find an event near you or check our list of stockists. Don't forget to sign up on the email list below and we'll keep you up to date. DARK + STORMY is a one woman business established in 2015 by Caylan Fisher-DeLisi, and is so named for the moody and windswept coasts of New Jersey, where she grew up. Caylan holds a degree in Fine Art from the Pennsylvania College of Art & Design and is currently living and working in The Los Padres National Forest, north of Los Angeles, California. DARK + STORMY has been featured in HGTV Magazine and Apartment Therapy. You can find DARK+STORMY at various pop up events. Please check the SHOWS + MARKET tab above to find an event near you. A list of stockists will be coming soon. 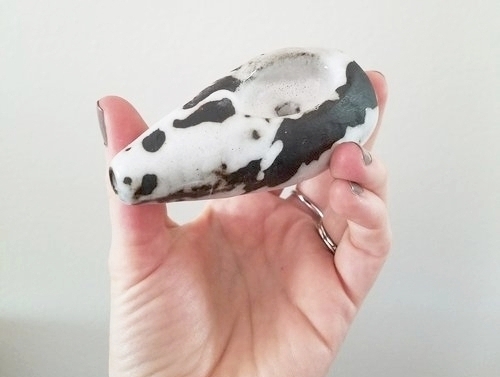 Stay connected for news from DARK+STORMY CERAMICS. As a thank you we'll send you a coupon for 10% off your next purchase.